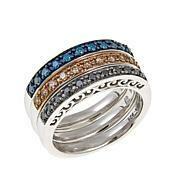 When diamond sparkle is on your side, you feel like you can do anything. Glinting and gleaming, they give you the confidence to tackle any obstacle. 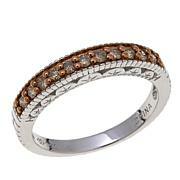 With this elegant band ring, you can bring that morale boost to your every day look. Put it on and conquer the world. OH MY GAUCHE! 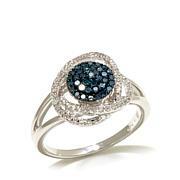 This is so sparkly, and the color of the most luscious champagne, it's AMAZING....I love gemstones, - color is my thing, so white diamonds bore me...this ring is the exact opposite. It's got color saturation & evenness. 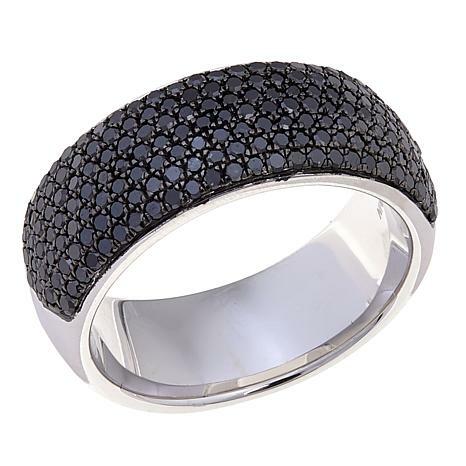 I adore dome-style pave' rings - this is ONE OF THE VERY BEST I own. I most definitely Highly Recommend! 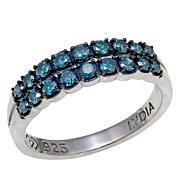 This ring has a lot of presence with the sparkle but is super comfortable to wear. I wear it a lot day into evening. Its a really nice look without being too showy. I first bought this ring in the champagne color because I love champagne diamonds but the ring just didn't do it for me so I exchanged it for the blue. Wow! I like the blue much better. Vibrant color! This one's a keeper.